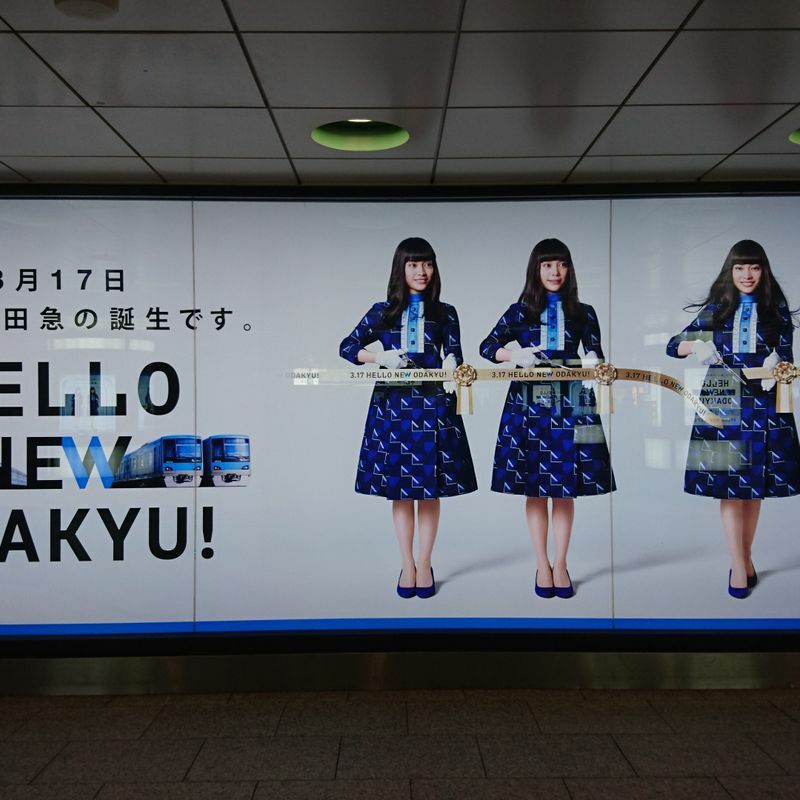 If you have been in Shinjuku Station at all this week, you may have noticed a large number of posters and signs about the "New Odakyu." 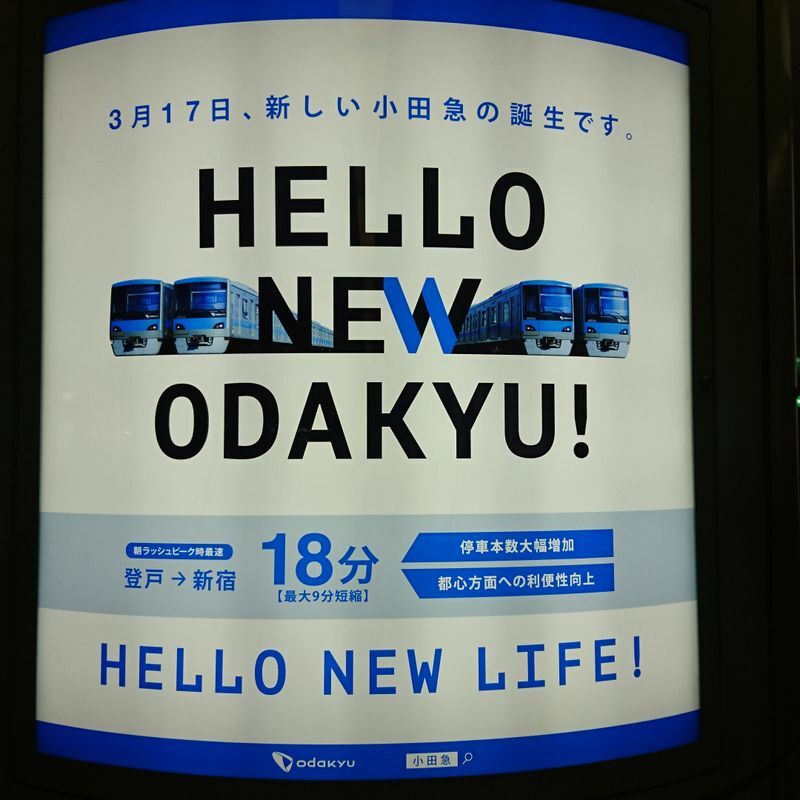 On March 17th the number of trains running along the Odakyu will significantly increase, from 27 an hour to 36. From what I can tell, this is due to the fact that new rail tracks between Setagaya-Daita and Higashi-Kitazawa stations, including Shimo-Kitazawa, which currently has only one platform and one set of tracks headed toward Shinjuku, and one headed out from Shinjuku, will have double the number of tracks. The Odakyu has been improving its tracks and stations for a number of years, including either elevating the tracks or placing them underground and this is the final section of the Odakyu line to have the major changes completed. What this increase in train tracks and trains means is that, hopefully, the trains will be a bit less crowded. The Odakyu line goes through the 35th busiest station in the world (Yoyogi-Uehara) and has its terminus at the busiest station in the world (Shinjuku). It also has one of the 10 busiest sections of track in terms of train car capacity in Japan. Some of the biggest changes I can see by looking at the schedules, which are available online in English here, include the introduction of women's cars on many trains during the peak morning rush-hour times, and an increase in the number of trains that connect directly to the Chiyoda line instead of going into Shinjuku. My station will also now have express trains. Up until now, there have only been local trains to catch to go to and from work. 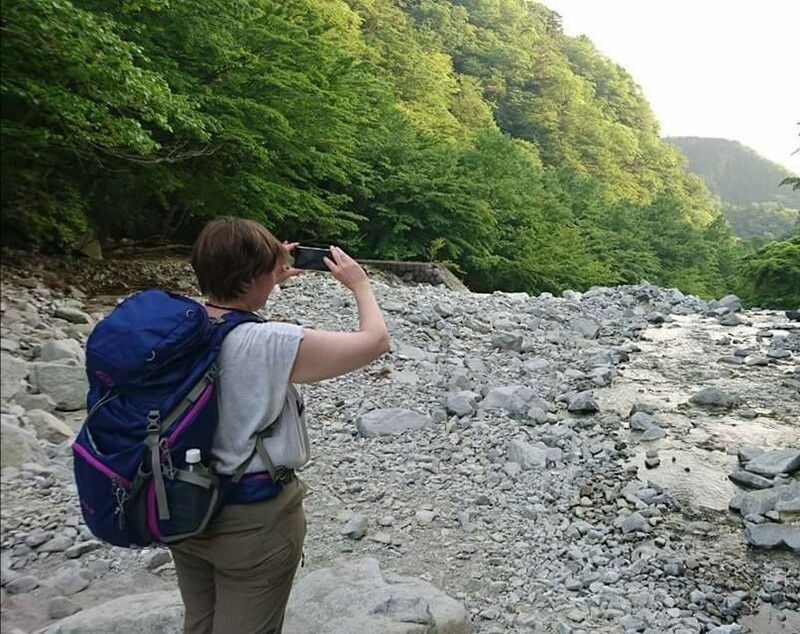 The Odakyu, and the Chiyoda, which it connects to at Yoyogi-Uehara, have struggled at times to stay on schedule, and the trains have become increasingly crowded even in the five years I have lived in Tokyo. Delays are often caused by "congestion," rather than accidents, especially in the morning. Hopefully these new changes, this "New Odakyu," will help with all that.